Teenagers like to be healthy, active and most importantly fit. It is an age where they should be in good shape and have a slim and healthy body. For teens who are overweight or obese, a dedicated weight loss regime will definitely benefit them. It will bring them back in shape and boost their self-confidence. Also, care should be taken as their developing bodies need proper nourishment and care while undertaking weight loss plans. It takes a combination of proper exercise, diet, and lifestyle efforts to achieve weight loss goals. 1. Set a Goal- A Realistic One! If you want to achieve something, you have to set a goal. Consistent and dedicated efforts will help you achieve those goals. But it’s important to set realistic weight loss goals. Everyone wants a 26” waist, but the focus should also be on attaining good health. Teens cannot crash diet and spoil your health to lose weight. They need good role models and mentors who will guide them on making small lifestyle changes which will help them approach their weight target. Every person has a different body type and will have to work differently to reach their goal. Family, friends or relatives should stand by these teens who are trying to get back into shape. Do not start a rigorous physical activity which leaves you drained out and sick just in the initial days. You can start by being more active at home. Sit less, move around more, take the stairs and walk to the nearby store for shopping. Teens can even clean their own room or make their own bed. Increasing your daily activity will result in increased muscle mass. This will rev up the metabolism and result in burning more calories efficiently. Cycling or walking to tuition classes is also a great idea. Then gradually, you can embrace some sports and increase their intensity as you get used to working out. Swimming, running, biking, yoga, pilates, aerobics, dancing or even soccer are some interesting sports for youngsters. Whatever you do, just keep moving. You are what you eat. Isn’t it? Since you are on a weight loss regime, refueling your body with nutrient-rich food becomes essential. Your body needs more of vitamins, fiber, proteins, and minerals to cope up with the weight loss. The metabolic rate increases if you are working out and the body burns more calories which need to be replenished. The body also needs nutrition at this developing age and hence the diet should comprise of healthy foods like fruits, vegetables, soups, food grains, healthy fats, and proteins that support the growth processes in the body. Also, eating a wholesome meal is important to prevent mid-meal snacking. We see teens snacking all day with chips, crackers and unhealthy packaged food which increases body weight immediately. Eat fibrous foods like vegetables, grains, and fruits and protein-rich diets like eggs, beans, chicken, and nuts that keep you full and also promote lean muscle mass in the body. Sugar is the biggest killer in your weight loss regime. Cut down sweetened beverages like sodas, tea, coffee, canned fruit drinks, and energy drinks are laced with added sugars. These added sugars can be very harmful to the body as they disrupt the hormonal levels, and increase the risk of diabetes, cavities, liver diseases, acne and also lead to obesity. Parents should take care to curtail their consumption of sugary items as teens are likely to imitate their parents. Candies, cookies, sugary drinks and foods are all a favorite with teenagers. But, alas, they are very bad for your weight loss measures. Cut them totally from your diet if you are trying to lose weight. They add unwanted calories to the diet which are difficult to burn and also make the metabolism sluggish. In addition, these foods increase craving and lead to overeating as they are low in protein and fibers. In a study involving 16 women, it was found that drinking a high-sugar beverage in the morning make them crave for food more and they ate more for lunch. Teenagers and developing children need more fat for life processes. It is common to cut out fat from the body if we are trying to lose weight. But it can have adverse effects on the growth and development of the body. The best thing to do is to swap unhealthy fats with healthy ones. Stray clear of French fries and chips and eat an avocado salad drizzled with olive oil, healthy fish. Healthy fats are fuel to the body and their deficiency can cause multiple health problems like growth impairment, brain disorders and more. Fad dieting seems like the shortcut to a slim and trim body and teenagers get instantly attracted to these diets that are being promoted by reputed influencers. However, these fad diets can have adverse effects on health and do not work long term. 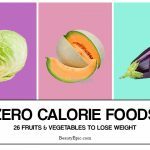 They also add fewer calories to the body which again hampers the proper functioning of the cells and organs. And, it also hampers the weight loss processes and slows them down. Therefore, a long-term consistent weight loss program which sheds weight uniformly is your best bet. Vegetables contain nutrients like vitamins, proteins, minerals, and fiber. The fiber and the water content in veggies keep the stomach satiated for longer periods and you will not snack processed foods. The other nutrients are essential for the proper functioning of the body and maintain good metabolic rates. Vegetables contain antioxidants that protect the body from oxidative stress. Teens must consume good amounts of vegetable in every single meal for attaining a slim posture and healthy skin, hair, and nails. Do not skip your meals. Skipping certain meals will lead to overeating or snacking on junk foods. Teens who skip breakfast are more obese than those who don’t. eat a well-balanced diet of fiber-rich nutritious foods which are high in protein and promote muscle mass in the body. A wholesome meal will also provide your body the fuel to workout effectively and burn more calories. Food labels with ‘diet-friendly’ actually mean full of artificial flavors, sweeteners and unhealthy fats that are harmful to the health. Aspartame and sucralose are artificial sweeteners that are linked to weight gain, migraine, and digestion issues. Instead of processed foods, go for homemade nutritious food that keeps you healthy and accelerates your weight loss plan. Replace your processed juices and sodas with plain drinking water or fresh fruit juices, to replace the excess calories and maintain proper body weight. Also, drinking water throughout the day keeps the hunger pangs in check and curbs the craving to snack all day. If you are on a high-intensity workout regime, staying hydrated is important to replace the lost electrolytes and maintain optimum functioning of the body. Teens wear trendy clothes and there is stiff competition to look great. But everyone has a different response to their weight loss plan. Some teens lose weight faster than others. Sometimes, your weight loss efforts will hit a plateau after some pounds are shed. Do not lose help and be consistent in your weight loss efforts. Maintain your diet and exercise regime even when you have stopped losing weight. 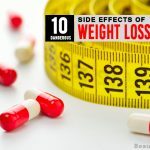 The body might be coping with sudden weight loss and might take some time to resume its metabolism for shedding excess fat. Mindful eating incorporates certain rules while eating. Eating slowly and concentrating on the food, chewing the food properly and staying away from gadgets are some of the rules of mindful eating. This is said to develop a better relationship with food which benefits the body and regulates the body weight. Mindful eating practices are very useful for teenagers as they might have unhealthy food habits that lead to weight gain. Processed foods contain artificial sugars and preservatives which are high on calories and do not contain any nutrition. Sometimes a treat is ok, but indulging frequently in processed foods can have adverse affects to your health. If you have a teenager who is trying to lose weight, try and develop their interest in the kitchen where they learn to prepare healthy food items themselves. With the increasing competition and growing peer pressure, teenagers surprisingly have stress and anxiety issues these days. Stress is said to trigger weight gain in the body. Teens also have elevated hormonal levels-the cortisol hormone, which further contribute to the weight gain woes. As a parent, discuss your child’s problems like a friend and offer solutions. Introduce them to yoga, meditation, or other hobbies like reading books, gardening, cooking and more. Teens need 9-10 hours of uninterrupted sleep every night. They should stay away from distractions like T.V, gadgets, and more before sleeping. Sleep deprivation can lead to weight gain just like stress does. 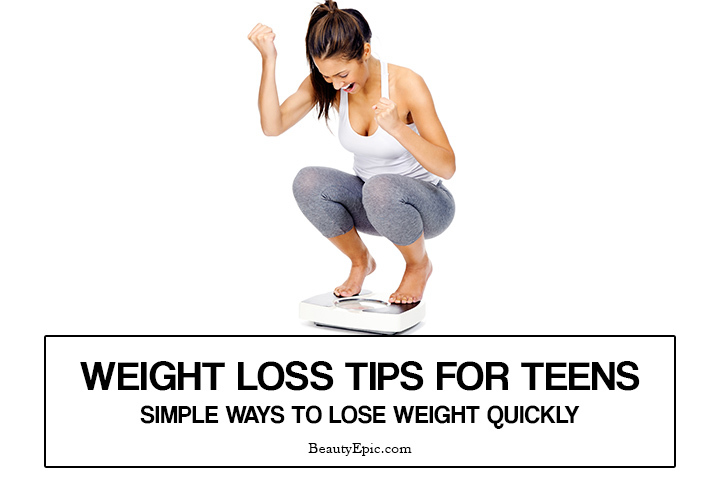 These are handy and useful tips to lose weight for teenagers and parents who can guide and motivate them. Small yet healthy lifestyle changes can make a big difference to your fitness and improve body weight.